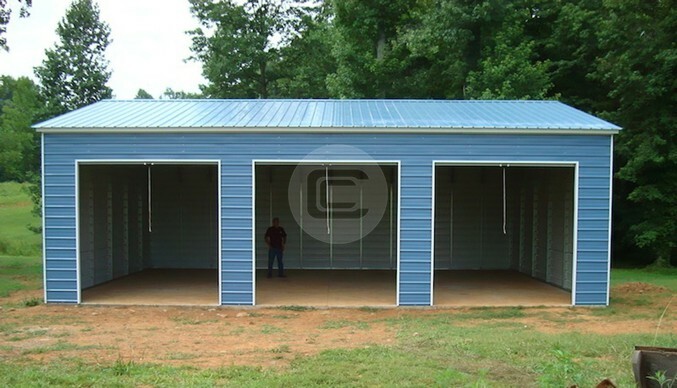 The depicted building shown above is one of our two-car garages with dimensions of 22’W x 30’L x 9’H. 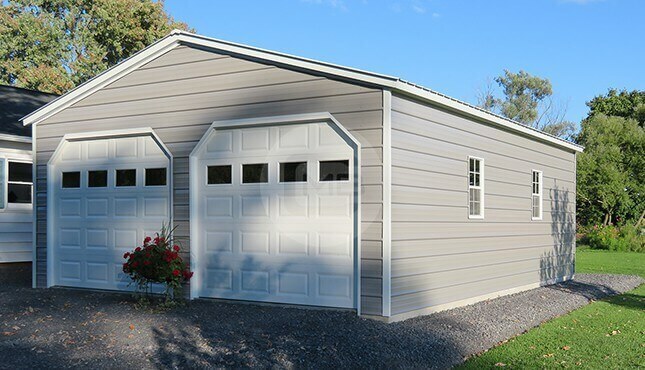 We also provide a one-year workmanship warranty, ten-year panel warranty (chipping and cracking only), and 20-year rust-through warranty on both 12- and 14-gauge steel framing. 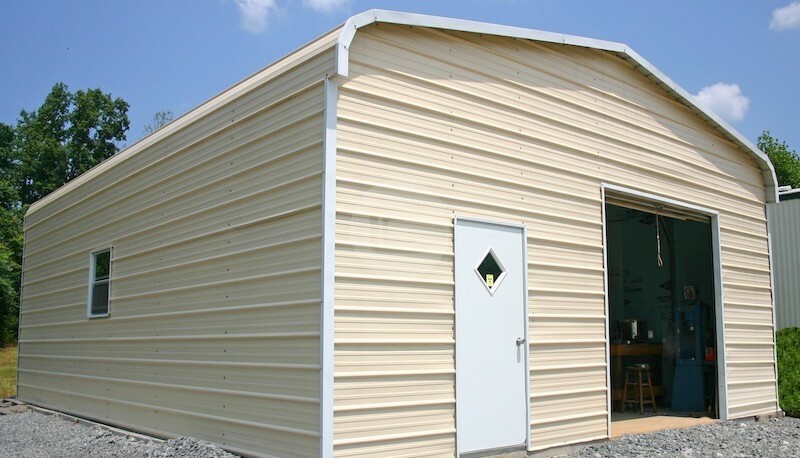 All buildings also have FREE delivery and installation; lead times vary based on your location. 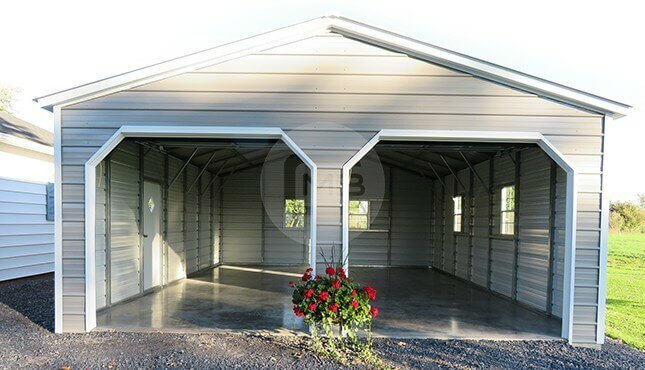 You can order the exact 22×30 metal garage for two cars with a small deposit today (remaining amount due at the time of installation), or we can help you design a custom structure for your exact needs. 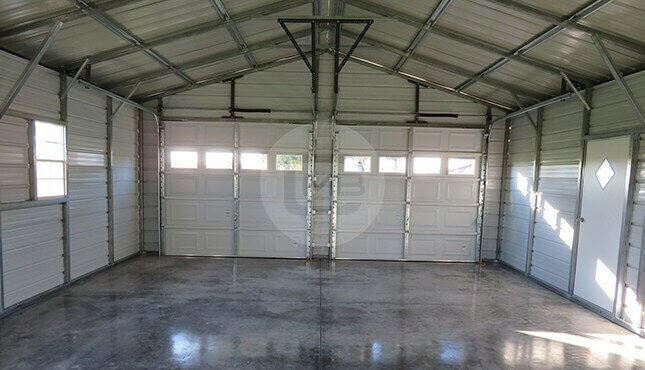 If you are interested in this garage or have questions, give us a call today at (980) 321-9898 to speak with one of our building specialists! 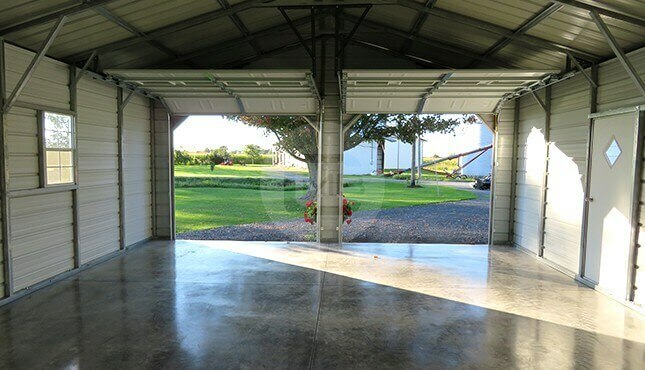 Keep in mind, we DO NOT provide groundwork or concrete, and your site must be level before installation. Let’s get started!